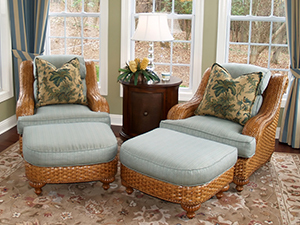 At Clean Sweep we have decades of experience cleaning and protecting fine upholstery. Kids, pets, guests, and general usage all take a toll on your furniture. Our professional technicians are thoroughly educated and trained in proper cleaning methods and solutions for your furniture, from removing dirt, dust, and allergens trapped deep within the upholstery fibers to applying protective treatments. Our highly effective cleaning process is safe and healthy, and leaves your furniture refreshed and inviting.